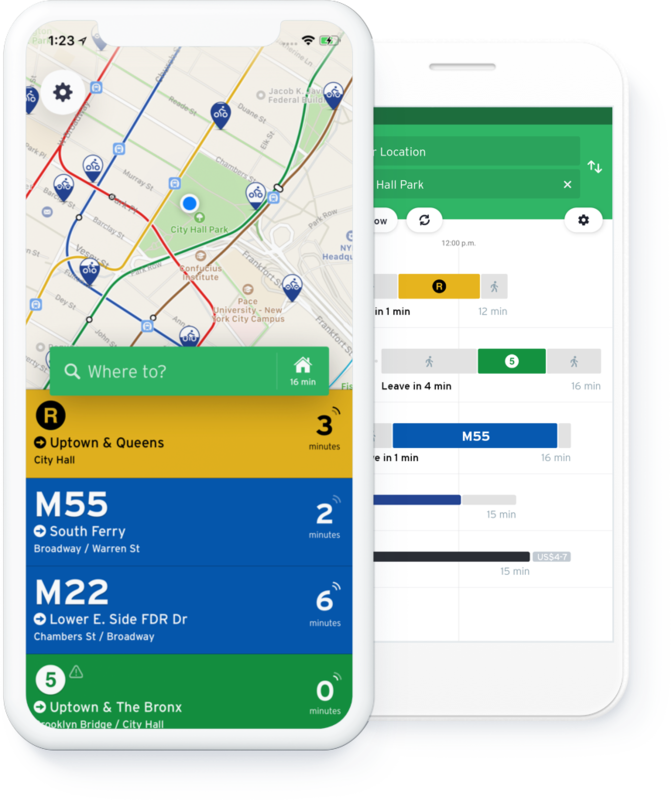 Get upcoming departure times for nearby lines without even tapping your screen. The best options in the best layout, with real-time data for improved accuracy. Like a helpful personal robot, GO thinks about your journey so you don’t have to. Uber. Bikeshare. Carshare. And more. Quickly compare all of your options on one screen. Simplifying the commute in more than 175 cities worldwide. We partner with transit agencies and shared mobility providers to get cities moving. How we shrank our trip planner till it didn’t need data.